We are a small team of professional communicators including photographers, filmmakers, writers, designers and educators. Between us we have over 100 years of experience telling compelling stories about the natural world, across a wide range of media platforms. Peter is a conservation photographer with over 20 years professional experience under his belt. He has co-founded major communication initiatives such as Tooth & Claw, Highland Tiger, Wild Wonders of Europe and 2020VISION. Peter is a Director of The Wild Media Foundation, the Company behind SCOTLAND: The Big Picture. A long-time advocate for rewilding, Peter is a serving Board Member of Scottish charity Trees for Life, and is a Senior Fellow of the International League of Conservation Photographers. Mark Hamblin is a founding Director of The Wild Media Foundation and has worked as a professional nature photographer for the past 20 years. He has contributed to, and co-managed, numerous conservation projects including Wild Wonders of Europe, Tooth and Claw, Highland Tiger and most recently 2020VISION. Previously widely travelled, Mark is now focused on documenting the stories of a wilder Scotland and its wildlife from his base in the Cairngorms National Park. James has a BSc in Zoology with Conservation and an MSc in Biological Photography & Imaging giving him a strong interest in conservation science and a passion for exploring ways of communicating ideas, stories and opinions. 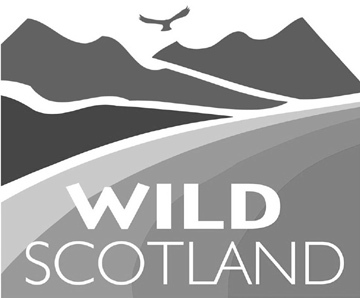 He is a director of The Wild Media Foundation where he helps develop multimedia narratives for a range of conservation bodies and now concentrates on video production and aerial photography for SCOTLAND: The Big Picture having become a CAA approved drone pilot. For the last twelve years, Alan has been an educator with a focus on outdoor learning, motivated by his passion for the wild and his concern for the environment. Before becoming a teacher and outdoor learning coordinator, he led communications agencies in London, Glasgow and Edinburgh. Alan now brings this mixture of skills and experience to Scotland: The Big Picture and plans to develop innovative education materials and messages to reconnect young people with nature in Scotland. Mat is a conservationist, filmmaker and cameraman. He has worked with a multitude of broadcast and commercial clients for the past 15 years, including BBC, STV and Channel 5. He founded White Tip Media in 2008, and in 2015 was awarded the Eden Channel's "Nature Filmmaker of the Year" by UKTV. He currently lives in the Cairngorm National Park. Gordon Eaglesham is a published writer, lifelong wildlife enthusiast and rewilding supporter based in the Scottish Borders. He has written for publications such as BBC Wildlife magazine, Scottish Islands Explorer and Bird Watching magazine. In 2014 he launched his own blog to promote local, national and international wildlife news and comment. Gemma has always been passionate about the natural world. She studied animal behaviour and has a keen interest in wolves. Her work with these animals inevitably led her to consider the ecosystems they thrive in, and her enthusiasm for rewilding was suddenly ignited. Gemma has worked for the Royal Zoological Society of Scotland and still works closely with RZSS, assisting with their programme to conserve the Scottish wildcat. Based in the Scottish Highlands, Emma is a freelance marketing professional with a background in the nature and conversation photography industries. She has worked on various visual media projects including 2020VISION, Tooth & Claw and Wild Wonders of Europe.